SOLOMON Islands Prime Minister Manasseh Sogavare will meet with his counterpart Peter O’Neill today to try and persuade him to change PNG’s stance on the Pacific Agreement on Closer Economic Relations (PACER plus). Mr Sogavare is in Port Moresby in his capacity as the chair of the Melanesian Spearhead Group. The Solomon Islands and Fiji have signed the PACER plus agreement and Mr Sogavare has encouraged PNG and Vanuatu to do the same. PNG has been adamant it would not be a party to the PACER plus program. PNG, the region’s largest island nation, has made it clear it will not be taking part in the final negotiations for the Australia and New Zealand-led "Trade and Development Agreement" saying it would instead be seeking to establish bilateral trade agreements of its own. Mr O’Neill and Mr Sogavare will also meet to discuss several other issues including the Melanesian Spearhead Group meeting, peace and security in the region, education and trade relations between the two countries. Mr Sogavare is on his last leg of meetings as the chair of the MSG before he hands over the reigns to Papua New Guinea in August. He is also likely to talk to Mr O’Neill about the future of the Melanesian Spearhead Group which is going through a critical stage of its development, imposing challenges and opportunities to its future survival. 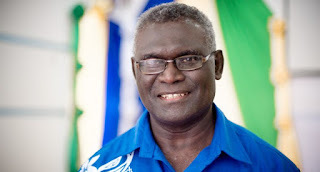 Mr Sogavare will also have briefing with Solomon Islands High Commissioner Barnabas Lauia Anga and later meet with Solomon Island students studying in PNG. The PNG Government has helped neighbouring Solomon Islands pay for the students’ education fees in PNG – a bilateral arrangement between the two countries. Mr Sogavare and his entourage have paid a courtesy call to the country’s Governor-General Bob Dadae where he discussed similar issues.